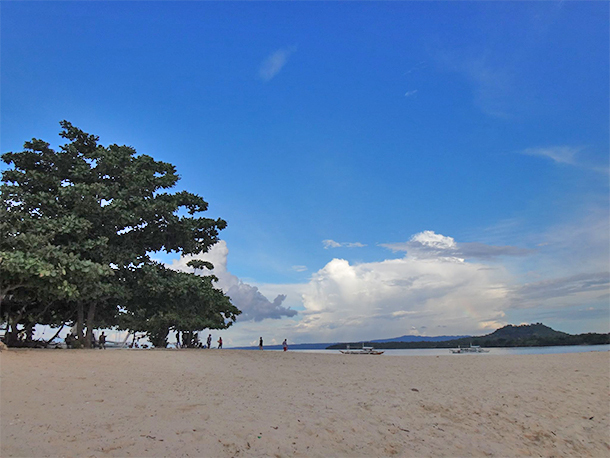 I’ve been to several islands in the Philippines and I must say that Cebu has some of the best beaches in the country. Not to mention the gorgeous waterfalls and incredible hikes that it offers! Cebu can be reached via air or by sea. You will be likely taken to Lapu-Lapu City – for those coming in by air or to Cebu City – for those coming in by sea. For a brief background, Cebu is an island in the Visayas that takes pride in its growing economy and rich history and culture. It is also one of the country’s premier tourists destination that attracts millions of tourists a year. I’ve been living in Cebu for several years now, and admittedly I haven’t explored every corner of this gorgeous island and the smaller islands that surrounds it. 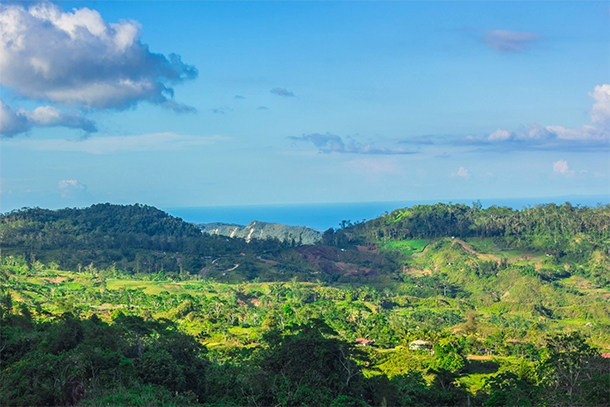 There are several activities that can be enjoyed here such as island hopping, canyoneering, diving, hiking, swimming, fishing and zip lining, to name a few. Hence the decision to explore my own backyard through DIY tours in the city and road trips. There are several places I’ve wanted to visit again, too. It’s always great to witness the changes of a place through the years. However, it may take a while so we’re taking it a step at a time. Oh, and of course, the food scene is also something that you should definitely check out! 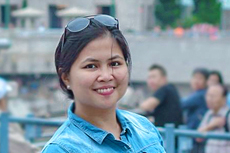 Yummy siomai, ngohiong, crispy and juicy lechon are some of the local delicacies and cuisines that are a must-try. Cebu City alone has numerous significant landmarks that you’ll love. Aside from the rich culture, there are several shopping options that you choose from, eateries that you can try and equally unique tourist spots. If you’d rather see corals, take a trek and do more physical activities, head further south or further north for a wider option. There are plenty of places you can choose from, so be sure to spend a couple of days here. 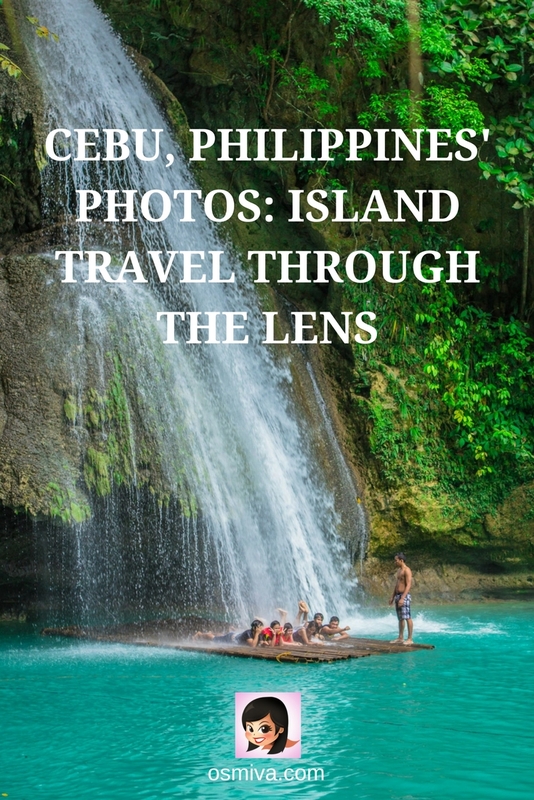 If you haven’t been to Cebu, let me convince you to visit the province through my personal compilation of amazing Cebu, Philippines’ Photos: Island Travel Through The Lens! 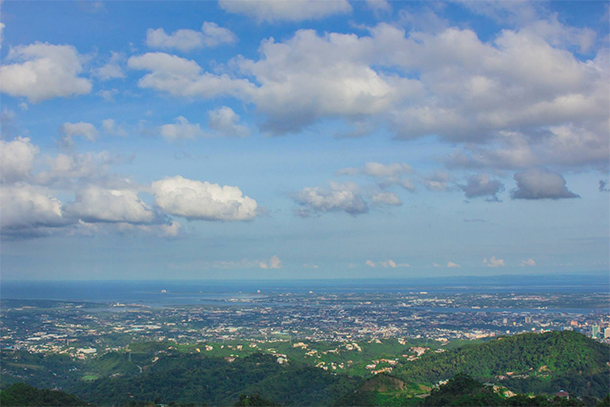 Overlooking views of Cebu City from Mountain View Park in Busay. Rope Course at the same park. Don’t underestimate this, I had sore legs and arms after completing the entire rope course. LOL. Or maybe I just lack practice? hahaha. Views from the Crown Regency Hotel in Cebu City. We tried the Edge Coaster here. 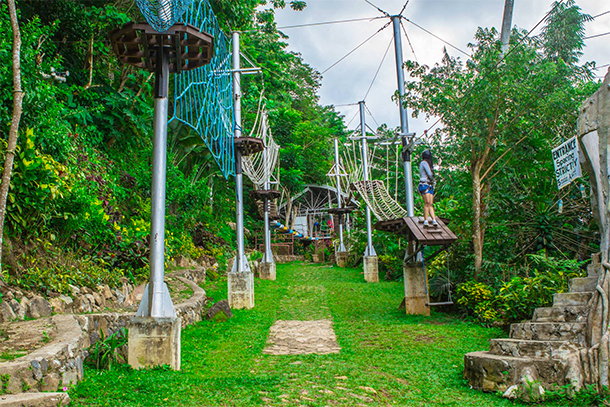 It’s one of the activities guests can try on the hotel’s Sky Experience Adventure. If you’re not afraid of heights, this is perfect for you! See? This is one capture we had of my friends trying out the ride. LOL. You have the controls to further tip the coaster. My husband tried it when it was our turn and I was fairly amused. If you read my post on how traveling changed me, then you’ll know that I’m fairly afraid of heights and been conquering it slowly. LOL. For more Cebu City Photos, check out this post here. 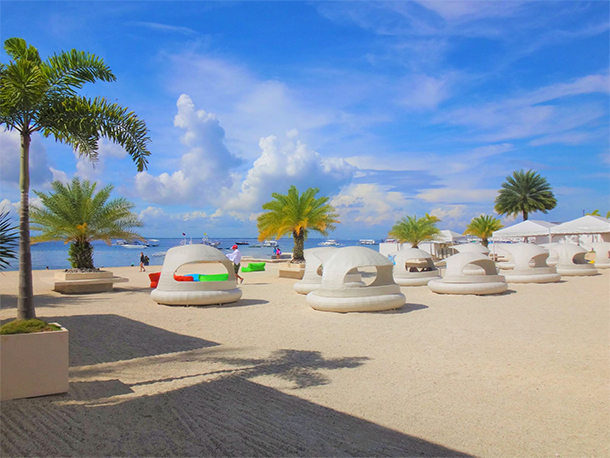 Lapu-Lapu City’s beach resorts are something that you should definitely check out. 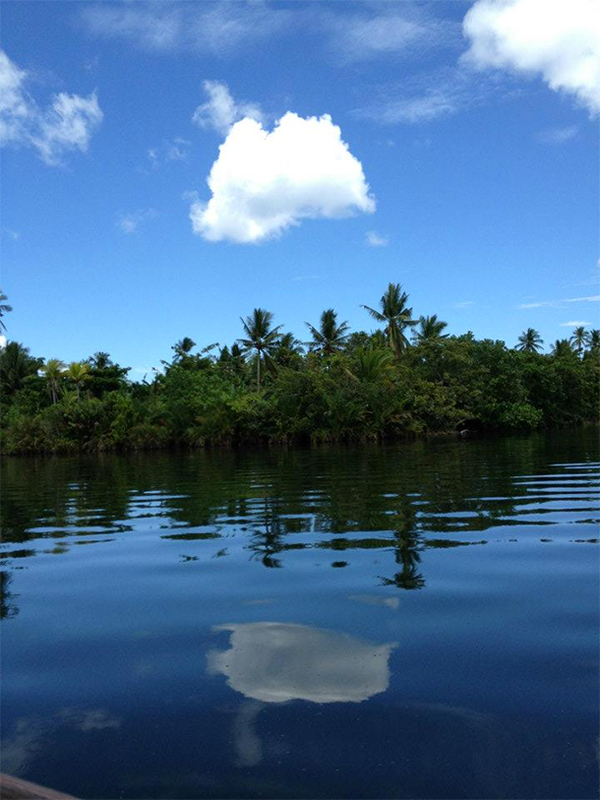 IG-worthy landscape of the Be Resort in Lapu-Lapu City. Views during our Island Hopping in Mactan, Cebu. 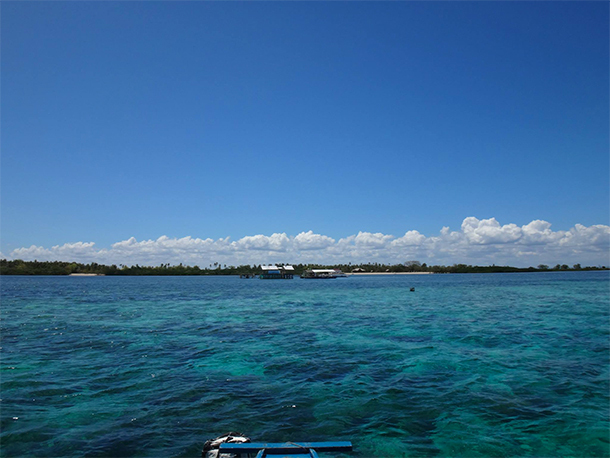 We especially enjoyed fish feeding at the Olango Sanctuary and swimming in the crystal clear waters surrounding Mactan. Another must-visit and one of Cebu, Philippines’ photo favorite of ours is Moalboal. The corals and the beach is definitely something that you should see! I’ve previously posted an article on the fun things to do in Moalboal, Cebu that maybe you’d love to check out! 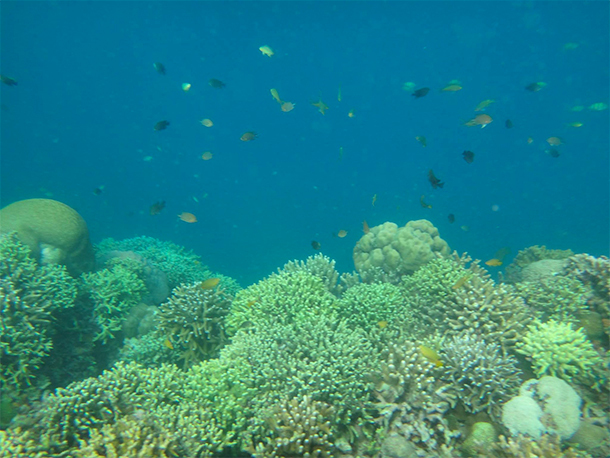 Like Moalboal, Badian is also a great place to snorkel with its abundant marine life. 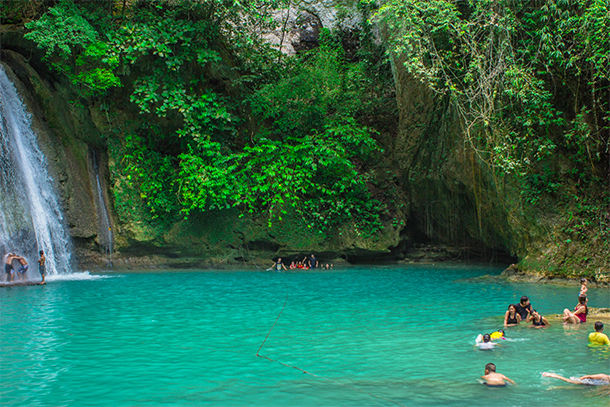 It is also home to Kawasan Falls, one of Cebu’s famous waterfall. Kawasan is also included as one of the stops in the Canyoneering activity. Approaching the 1st waterfall on a bamboo raft. You can take a waterfall massage here. Or maybe just take a swim in the water. It’s deep so you’ll be advised to wear life-vests. 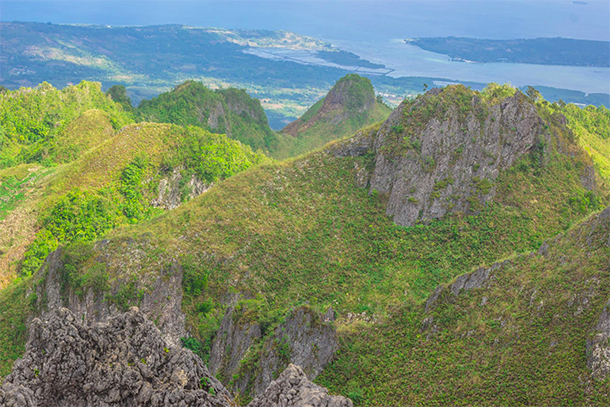 Another breathtaking Cebu Philippines’ Photo subject is the Osmeña Peak in Dalaguete, south of Cebu. This is one of the views we saw as we started to ascend the summit. View from the campsite. 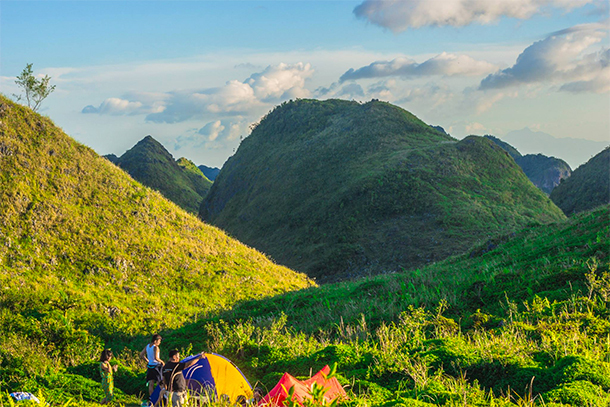 Hikers may pitch their tent on the grassy slope. The sunset at Osmeña Peak. Such a picturesque moment, wouldn’t you agree? 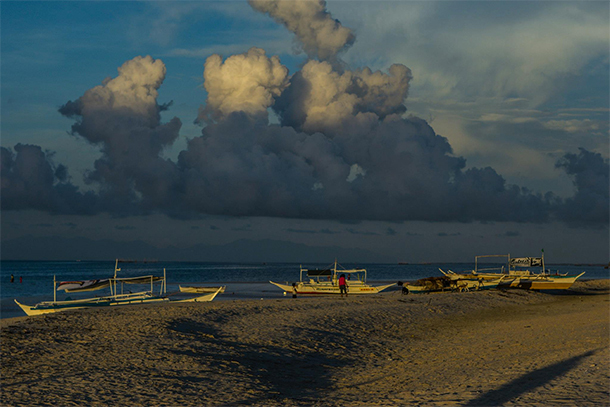 Take a ferry from Daan Bantayan and you will discover another amazing Cebu gem: the Bantayan Island. 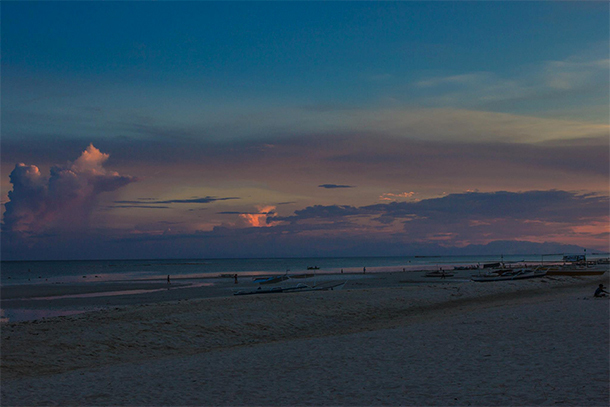 One of the sunsets we saw in Bantayan Island. Such gorgeous colors, huh? The small boats as they are prepared for the day. 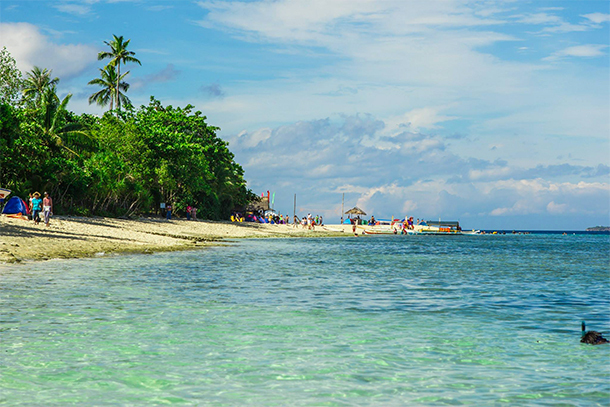 Camotes Island is slowly gaining popularity with its amazing beaches! It can also be reached via fast craft or slow boat either from Cebu City or Danao respectively. 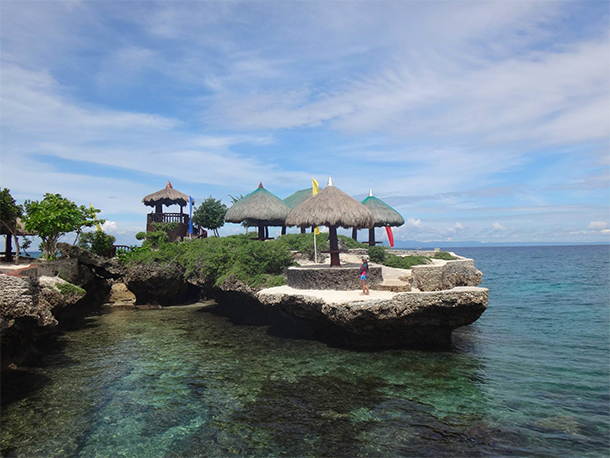 This is a photo of one of the island’s resorts: the Mangodlong Rock. Some of the cottages at the resort. There are spots here where you can dive into the water! At Tulang Diot. 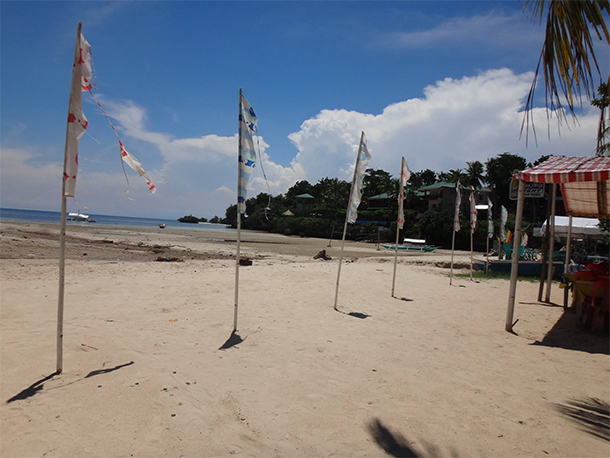 A smaller island in Camotes with white sand beaches and clear waters. We hired a small motorized banca to reach this. It only took us around 5-10 minutes. 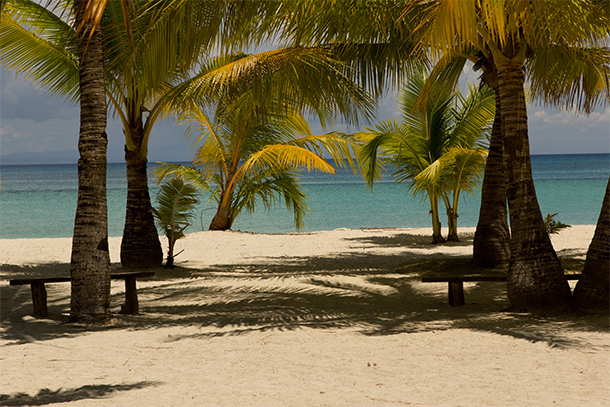 Santiago Bay’s famous long stretch of white sand. On peak seasons, expect plenty of tourists here. So, there you have it. 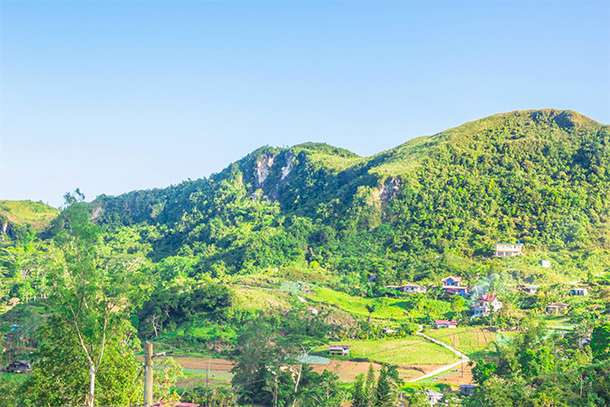 Some of the amazing spots that you can see in Cebu. True, there are still a lot of sites that even I need to see. Nevertheless, we’ll take it slow and steady. Already persuaded and looking for a place to stay? Check this list of popular hotels and affordable hotels in the city too! The rope course looks really fun, but I would probably skip the sky experience. All the water and beach photos make me want to jump on a plane right now. Actually, all the photos are very nice. The Edge Coaster was great. I don’t know if I have the guts to try the other rides there, though. Hahaha.. Thank you Theresa! Everything in this post made me feel like what am I even doing with my life right now. I need to go to Philippines ASAP to explore the surreal landscapes. I literally feel that yo’re so lucky because you stay there since many years. That landscapes can surely hold back anyone. Also, I would definitely like to find nemo & dory in those waters. I feel lucky indeed 🙂 There’s so much to explore! I’m obsessed with reading about the Philippines lately, every post I find just fans the flames of my desire to get there a.s.a.p.! And OMG your photos are truly STUNNING! It seems like there is an endless list of amazing little out-of-the-way places and once-in-a-lifetime experiences there… Thank you so much for sharing!! Beautiful photos! Especially the one with the waterfall. I have the Philippines on top of my bucket list, but don’t know where to start. Palawan or Cebu? Refreshing to read something else les about Cebu besides the beaches. Thanks for the tips! Wow beautiful pics and looks like a real fun plan. 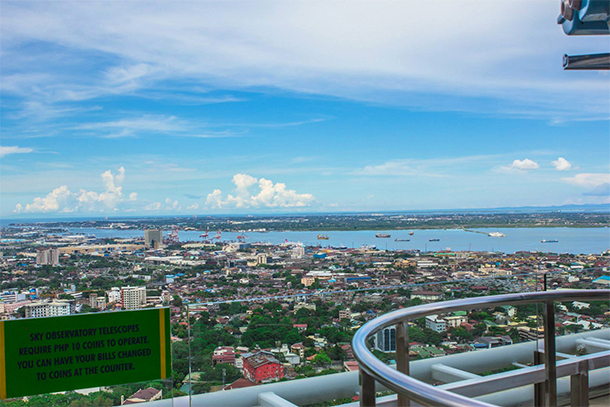 Fantastic post, Cebu city has so much to see and do. I will be there next year for 3 days and will have to bookmark this post. Love the edge coaster, it’s so up my alley. And the Be Resort looks amazing! Gosh so many stunning natural places. 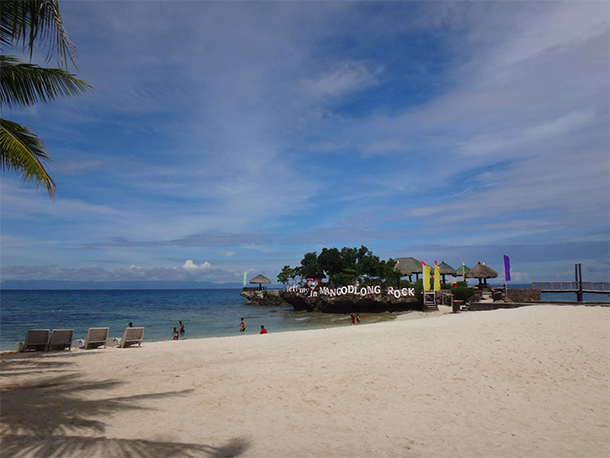 I’m surprised that with beaches like MoalBoal, the city beach resorts like Lapu-Lapu City are popular. On my wish list now! What a beautiful island – and that waterfall is just stunning! I’m not sure I’d be brave enough to go on the rollercoaster as I’m a little scared of heights – how have you been getting over it?! This place is a natural beauty. The landscapes are just Instagram worthy. Would love to visit some day. Ok, I will dream about Lapu-Lapu City tonight 😀 It looks like a wallpaper! This looks like absolute paradise!! I’ve never been to the Philippines and it’s never been super high on my list, but this definitely makes me want to go! Cebu looks so gorgeous! I need to go next time I’m in Philippines! WOW. Your photos are out of this world. HOOOW? Philippines have never been captured more perfectly. I cannot wait to visit. The beaches? Amazinnnng! I visited the Philippines last year, though regretfully, didn’t make it to Cebu. What an amazing place for you to be based! 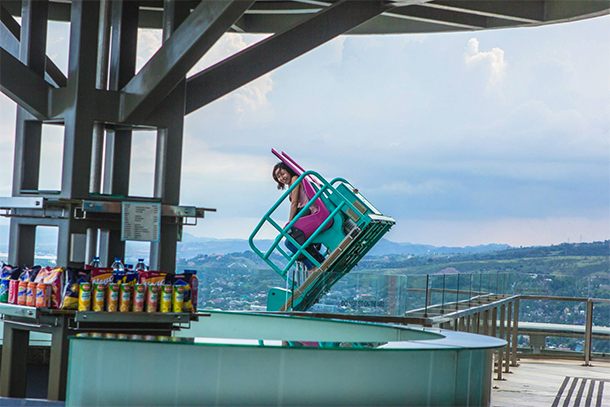 When I have the chance to get back I think I will stay at the Crown Regency Hotel in Cebu City – awesome views! And I’m a thrill seeker – so having the Edge Coaster at the hotel is like a dream :D! 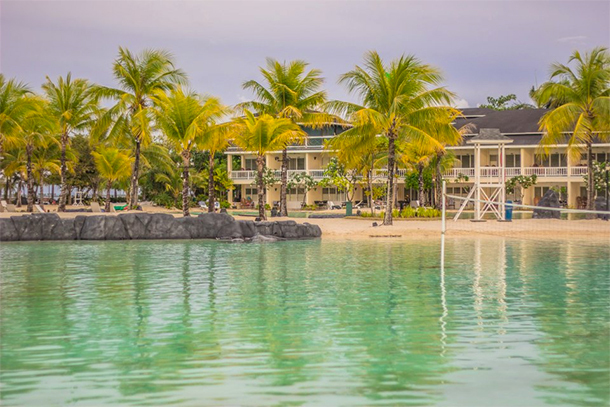 But some seriously beautiful beach resorts in Lapu-Lapu City from the looks of your photos. What a tropical paradise. 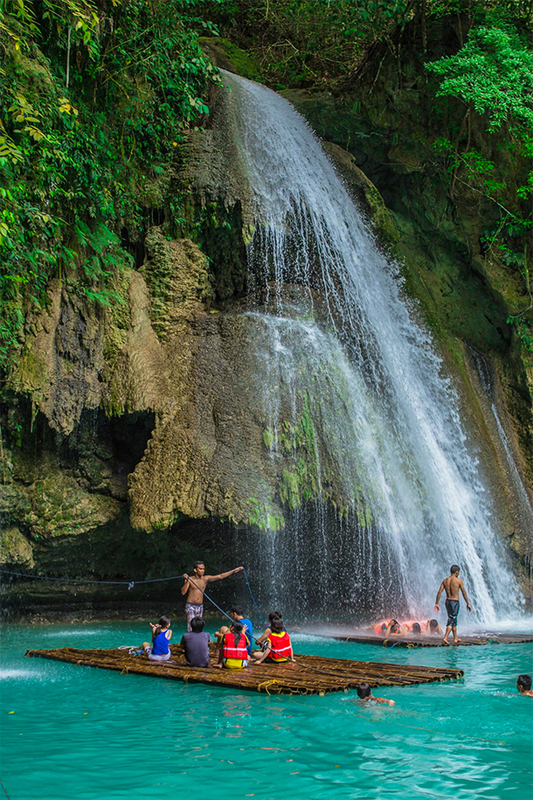 And Kawasan Falls is just stunning. Approaching on the raft looks like a blast!! 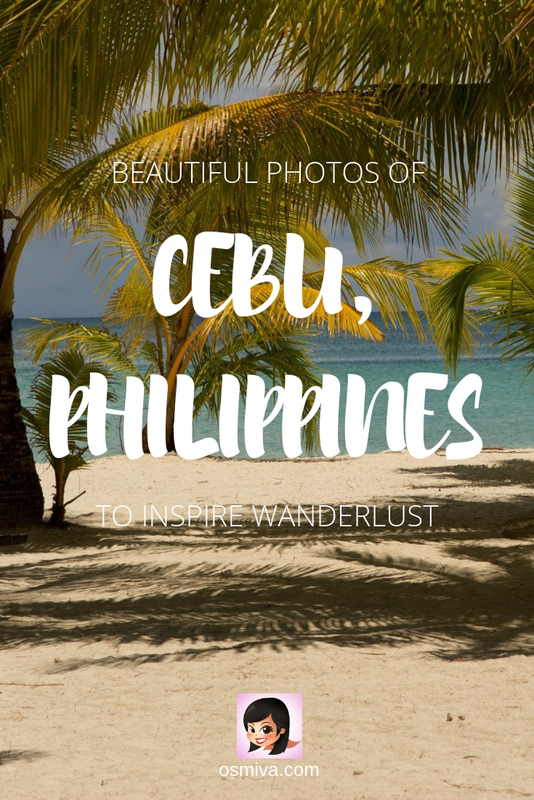 I love this blog post :))) I have been in Cebu but haven’t really explored it that much so I have plans of visiting Cebu again maybe next year. Will bookmark this definitely for my future reference. Well, yes. Nothing like a good ngohiong steak with a bit of duffle. No chance of further details, I suppose? Wow ! All of the pictures are so stunning . 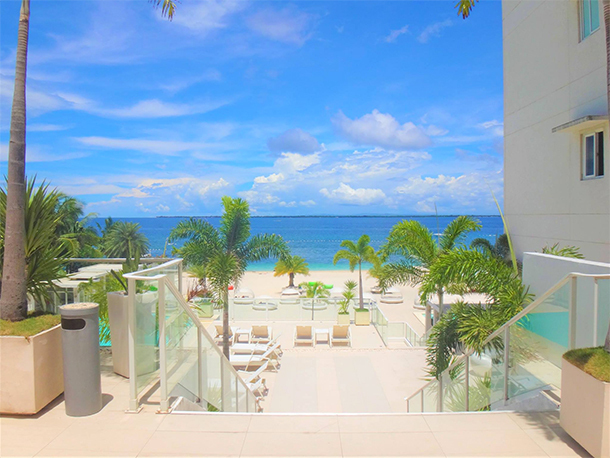 Cebu looks like one paradise . Wow, Cebu looks gorgeous! I’ve never been to the Philippines before, but this looks like the place to visit! 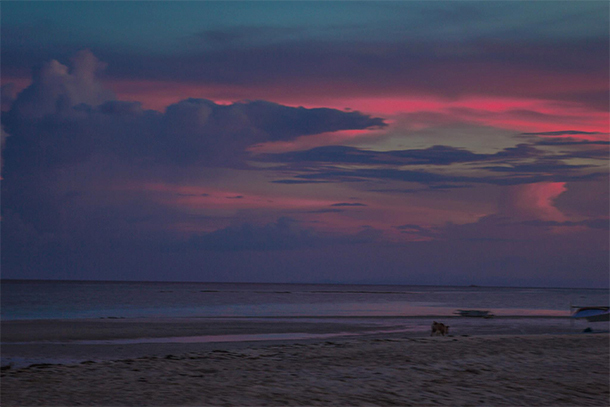 Every time I see pictures from the Philippines they always look stunning. Especially those islands and beaches. Breath taking. The Kawasan Falls looks so beautiful. 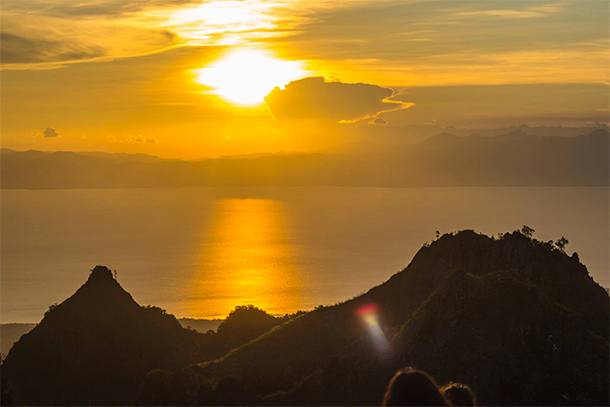 The sunset at Osmeña Peak is also simply gorgeous. I will definately need to fast track my plans to get over to that island!!! That rope course caught my attention, looks like something I would definitely consider doing! How much do they charge for it? You’re welcome! 🙂 Glad you liked it.. Thank you, Dan.. Glad you liked it! Thank you so much for this comprehensive guide. 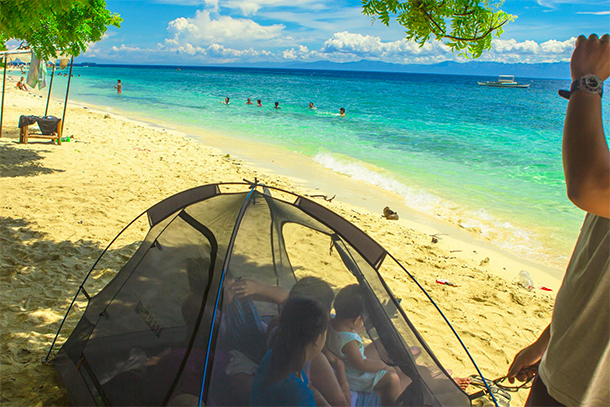 I’m heading for the Philippines early next year and you just made planning so much easier! 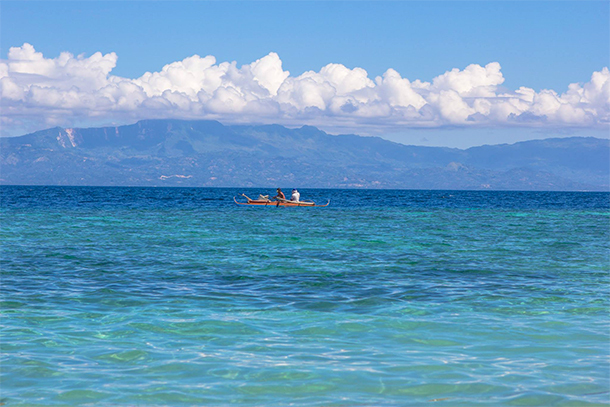 I have not been to Philippines but I have also heard a lot about the beaches of Cebu. And your pictures are just asserting what I have heard. The beaches are just so pristine. 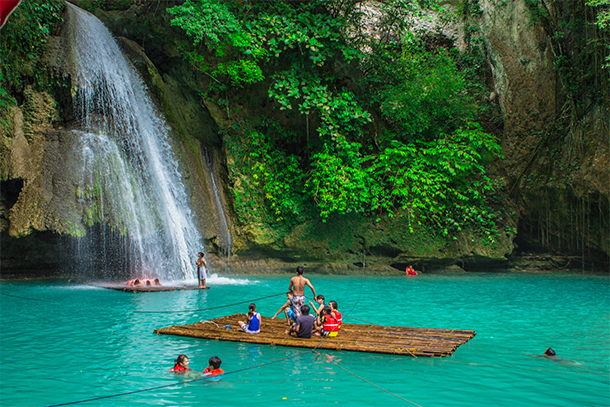 And so it Kawasan Falls. A must visit for sure. What an amazing overview … you’ve definitely got me wanting to plan a trip there now! I’m really interested in the waterfalls and Camotes Island.